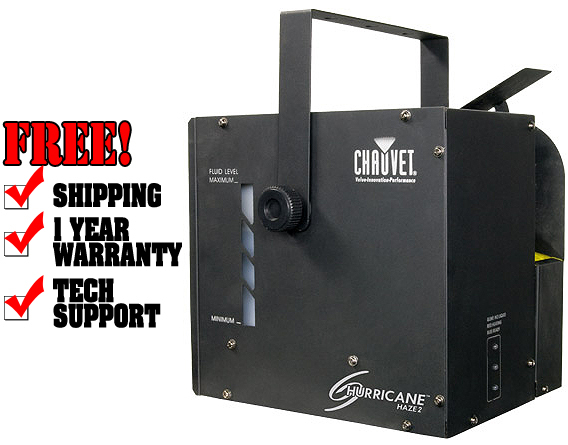 It's a water-based haze machine with true continuous output. It features adjustable blower output speeds and directions to get the haze where you need it. The low fluid indicator gives a warning before automatically shutting down when empty. Control is via DMX or the included wired, timer remote which stores conveniently in the fixture.